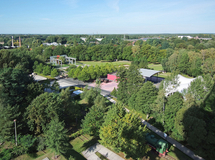 Enjoy the wide view from the observation deck of the area of the Family-Garden and the historic industrial buildings! The Eber assembly crane was built in 1954 as model for an assembly crane series. 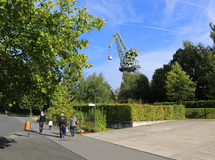 It remained on the factory premises and was used for the preassembly of other cranes. Due to its striking silhouette, it still serves as landmark of the industrial landscape of the Finow valley today. 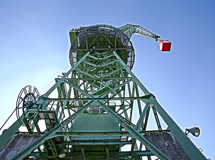 The Eber assembly crane with its observation deck is one of many highlights of a special kind where the Eberswalde high-altitude pass can be obtained. 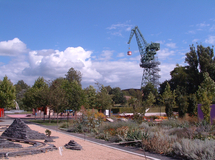 You can get the punch card from the tourist information at the tourist centre next to the entrance to the Family-Garden and obtain the Eberswalde high-altitude pass by climbing up at least 3 of the 4 viewpoints of Eberswalde. Good to know: the high-altitude pass season runs from the beginning of April to the end of October. 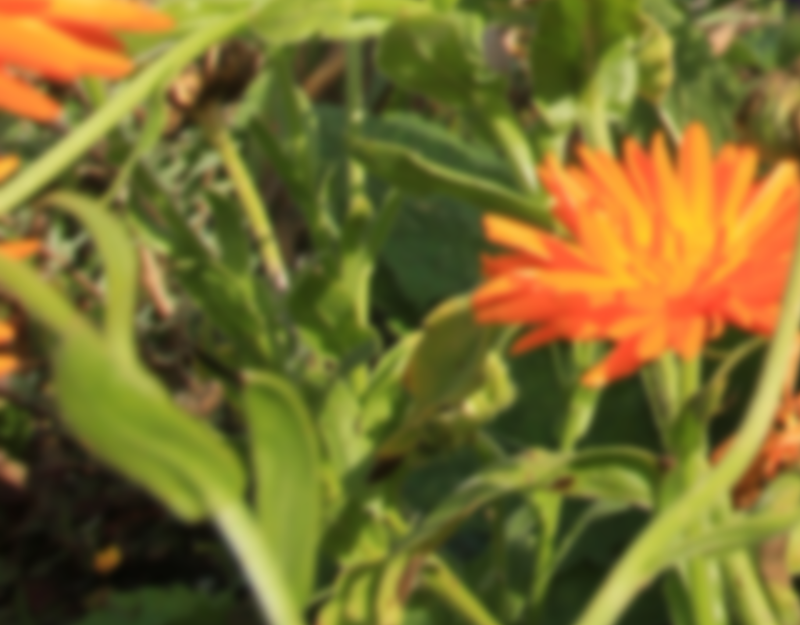 You can find all further information and participation conditions here. Information: access to the Eber assembly crane for children and juveniles up to 16 years only if accompanied by an adult.